The most adorable Raggedy Ann inspired crochet beanie hat found online. 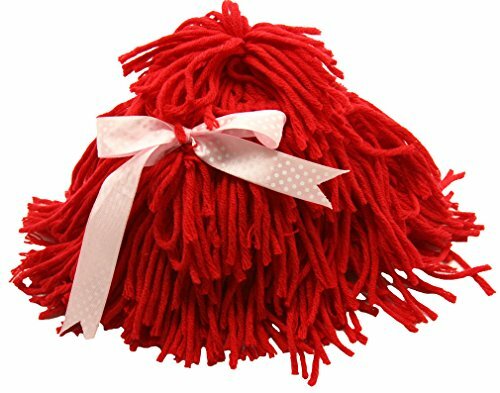 This cozy style hat features red yarn hair and a lovely pink polka dot bow. These lovely hats are extra soft and adorable for photo shoots. Measurements are: *Small = NB - 2 Years / 5" from top of hat to brim. 12" around brim. *Medium = 2-4 Years / 6" from top to brim. 14" Around Brim. *Large = 4-6 Years / 7" from top of hat to brim. 16" around brim. Each hat is handmade so dimensions will vary slightly. Hand wash / Line Dry. Wholesale Princess - Where Adorable Meets Affordable. We also have a huge selection of matching hair accessories, shoes, bows, boutique outfits, tutu gift sets, legwarmers and bloomers to choose from that will complete your stylish look. 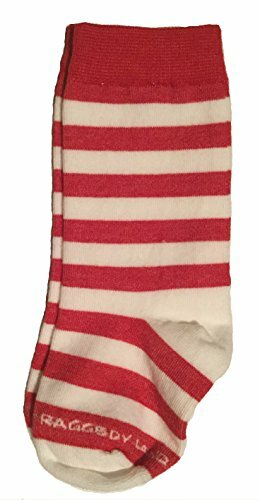 Red & White Striped Crew Socks Perfect for your Raggedy Ann or Andy costume or as an Elf We could not find quality socks so we had these made for us. These are not cheap costume quality socks. These are a Raggedy Land exclusive. See our other listings for baby / bootie, child and youth sizes. Sock Size: 4-6 / Toddler Shoe Size: 3-8 Approximate Age: 9-24 months (toddler) Length (heel to toe, unstretched): 4" Length (heel to top, unstretched): 4 1/2" Length (heel to toe, stretched): 5" Length (heel to top, stretched): 5 1/2"
Red & White Striped Crew Socks Perfect for your Raggedy Ann or Andy costume or as an Elf We could not find quality socks so we had these made for us. These are not cheap costume quality socks. These are a Raggedy Land exclusive. Sock Size: Bootie / Infant Shoe Size: 0-3 Approximate Age: 0-9 months (infant) See our other listings for toddler, child and youth sizes. 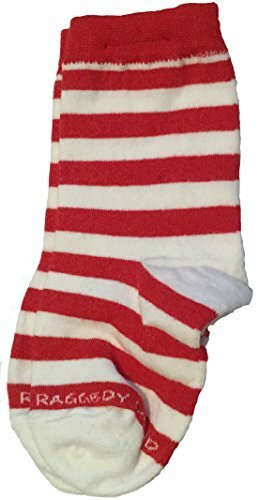 Length (heel to toe, unstretched): 3" Length (heel to top, unstretched): 3 1/2" Length (heel to toe, stretched): 4" Length (heel to top, stretched): 5"
Red & White Striped Knee High / Knee Hi Socks Perfect for your Raggedy Ann or Andy costume or as an Elf We could not find quality socks so we had these made for us. These are not cheap costume quality socks. These are a Raggedy Land exclusive. 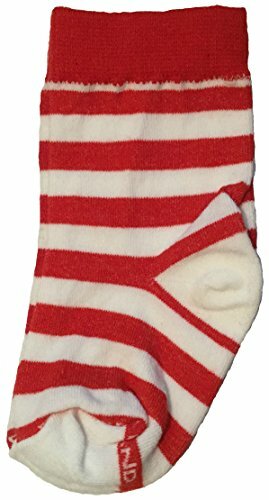 Sock Size: Bootie / Infant Shoe Size: 0-3 Approximate Age: 0-9 months (infant) See our other listings for toddler, child and youth sizes. Length (heel to toe, unstretched): 3" Length (heel to top, unstretched): 7 1/2" Length (heel to toe, stretched): 4" Length (heel to top, stretched): 8"
One of the cutest little costumes you will ever see! 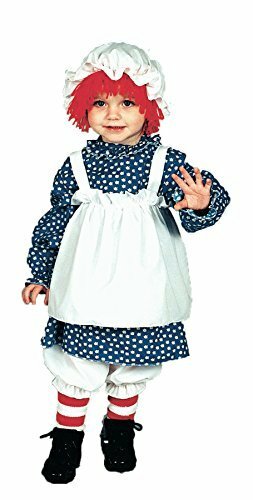 Dress, bloomers with attached leggings, mop cap with attached wig. 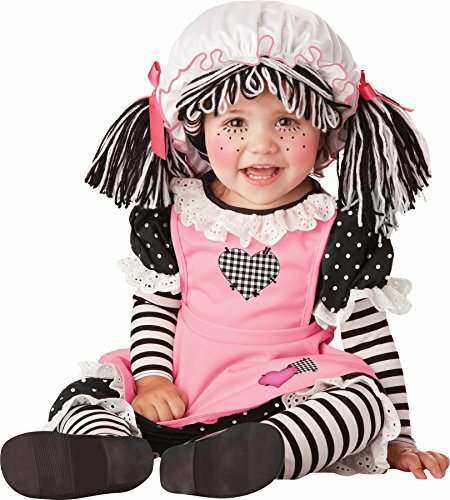 Costume fits infants 18-24 months. PERFECT FIT: Our Egghead Bed Nest Is The Perfect Fit & Size For All Styles Of Hatchimals. 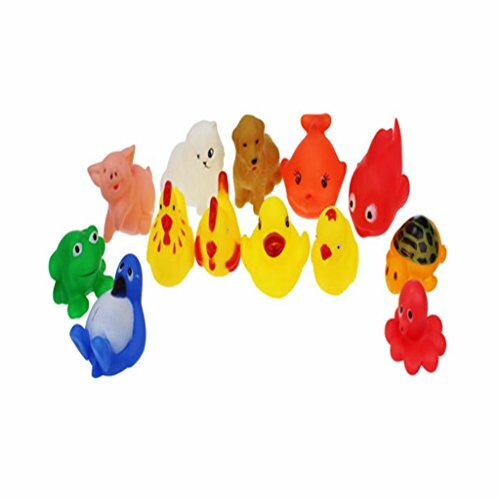 Just Right For Holding Your Hatchimal Egg During It's Incubation & Nurturing Period, Hatching & After Birth. 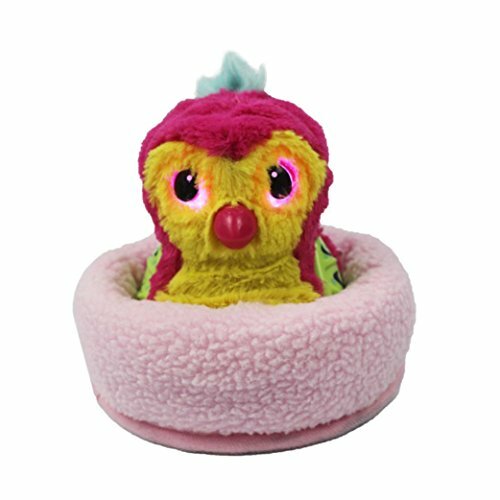 *JUST LIKE HOME: Surround Your Hatchimals With Our Cozy Soft Fleece Donut Shaped EggHead Bed Nest. Your Hatchimals Will Love Snuggling Into The Padded Sides While Relaxing The Day Away. *ADDED COMFORT: The Egghead Bed Nest Is Manufactured With High Grade Top Rated Fabrics Including Its Quilted Water Resistant Bottom Floor Which Will Help Retain Warmth For All Hatchimals! *MATCH YOUR HATCH: With 3 Color Variations Of Our Egghead Bed Nest. Color Options Include: Red, Pink & Blue. 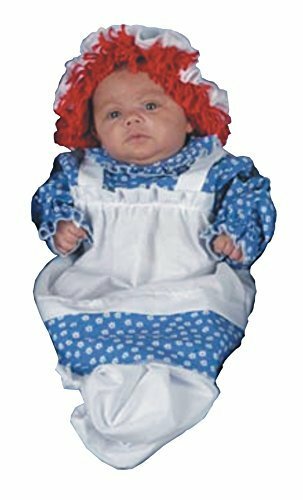 Terrified of dolls, toddler receives Raggedy Ann Doll as a gift. Little girl terrified of dolls opens a gift of a doll. 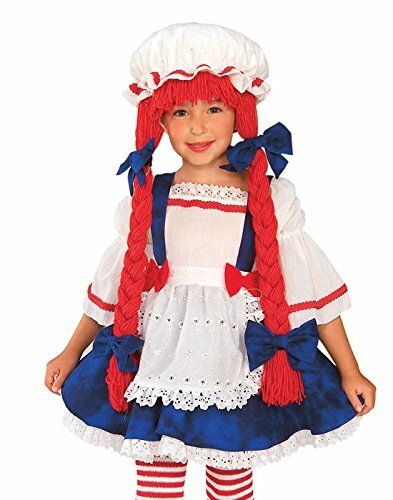 Compare prices on Infant Raggedy Ann Doll at ShopPlanetUp.com – use promo codes and coupons for best offers and deals. We work hard to get you amazing deals and collect all available offers online and represent it in one place for the customers. Now our visitors can leverage benefits of big brands and heavy discounts available for that day and for famous brands.